Fall allergy season is upon us! Do you experience a runny nose and watery eyes, coughing and sneezing, or even dark (puffy) circles under your eyes? Do you hope that because summer is ending so will the symptoms? Well, guess what, Fall has its own set of allergy triggers that can cause some of the symptoms listed above. The biggest allergy trigger is ragweed, which can affect around 75% of the people who experience allergies in the spring. Dust mites are another common trigger, mostly during the summer months, but they can also be stirred around in the air once you turn your heat on and cause many allergy symptoms. Mold is also another common trigger in the fall; being able to grow, not only in damp areas within your house, but also outside. There are little things that can be done to ease the unpleasantness of allergies; washing your clothes, hair, and shoes after being outdoors can help you to get rid of irritants that cause coughing and sneezing. Drinking more water can help give relief to your nasal passages and keep your body more hydrated. And if those dark puffy circles under your eyes start to get to you, you can use Plexaderm. 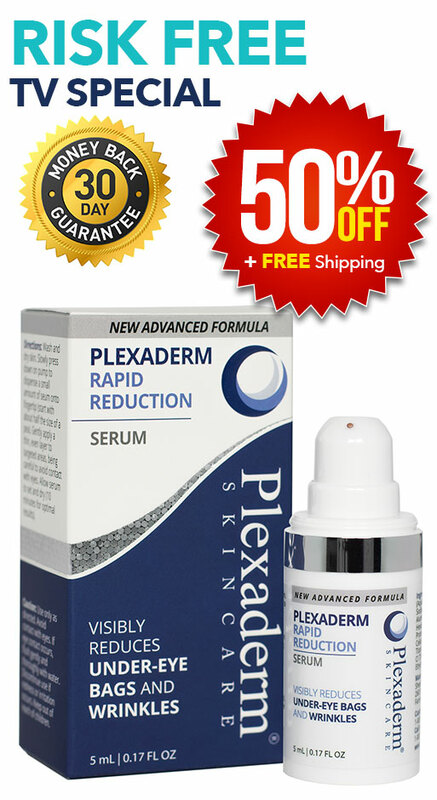 Plexaderm gives a temporary fast action result of visibly reducing under eye bags and puffiness in 10 minutes! See remarkable before and after images of under eye bags and dark circles visibly gone in 10 minutes.